The Mixed Marvel Arts’ fantasy league is in full effect after two months of disagreements, concessions, and Brian’s misery. 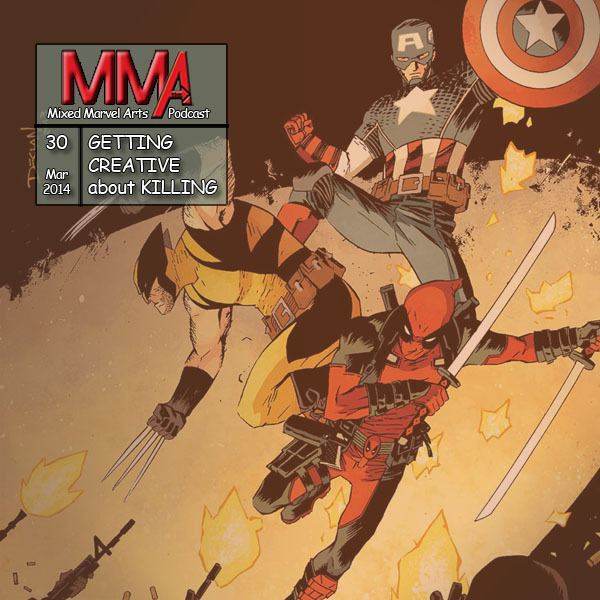 While covering the latest points for their team of heroes, the duo discuss the comics from March including the Amazing X-Men, Superior Spider-Man, the All-New Ghost Rider, and the original X-Men’s All-New first trip into space with the Guardians of the Galaxy. Disclaimer: No characters were harmed, or creatively killed in the making of this episode, despite what Shaun leads you to believe.